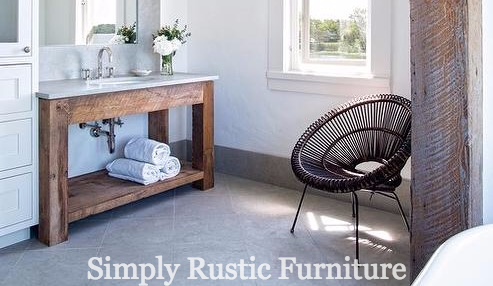 These provisions set out the terms and conditions of which you may make use of Simply Rustic Furniture website www.simplyrusticfurniture.co.uk (" The Site "). By using the site and/or ordering from us, you agree to be bound by these customer terms. The site is operated by Simply Rustic Furniture. Our registered address is Unit 4 Jaden centre, Prospect Business park, SWANAGE BH19 1EJ. Your order constitutes your offer to us to buy the goods that you select when placing your order on the site. All orders are subject to availability and acceptance by us. We will send you an email with confirmation of your order. Payment you make for goods through this site may only be made via PayPal or Debit and credit card. We can also accept cheque or BACS through email orders - Please allow all monies to be cleared before furniture is crafted. 4.1 We Endeavour to dispatch your order as soon as possible after you place your order. Non-Bespoke products will be dispatched within 10-14 working days of ordering. Bespoke items will be dispatched between 14-16 working days. 4.2 We cannot be held responsible for incorrect delivery addresses entered at checkout however this can usually be changed through email. 4.3 We cannot be held responsible for any delays caused with couriers. 4.5 Local Collection is very welcome and must be arranged prior to ordering. 5.1 Non-bepoke items can be exchanged or returned within 30 working days. Items should be well packaged and returned in their original condition.. If using your own courier - We would suggest to purchase insurance. We are unable to accept damaged returned items. If the item(s) are damaged, you will need to claim the amount paid through the courier and insurance. 5.2 Personalised and Bespoke items are non-refundable, unless damaged at the point of receipt or supplied with errors caused by our negligence. 5.3 Returns will only be processed following contact with Simply Rustic Furniture via email at ; simplyrusticfurniture@live.com. 5.4 Returns will not be accepted if your bespoke furniture has been crafted to incorrect dimensions given to us. 6.1 We package all of our furniture very carefully and always protect every corner. 6.2 All of our furniture is packaged in used packaging saving natural sources and reducing the need for landfill. 6.3 None of our furniture weighs anymore than 30kg - All pieces have been tried and tested on our weighing scales. 7.1 We offer a range of different varnish finishes - these can be found on our "Finish Board". 7.2 If a finish isn't stated via checkout or email a MEDIUM OAK finish will be sent. 7.3 Please note ; The finish board shown may be lighter/darker than expected due to the picture being taken with different lighting inside. 7.4 Due to us hand picking our timber locally for every piece of furniture hand crafted, there may be a slight difference in measurements - this could range from 5mm-20mm (+/-). 7.5 We hand pick all timbers from a very high source supplier in Dorset, England. All of our timber used is NEW Kiln dried wood to ensure our customers receive the best quality and character. 7.6 Pine and French green oak are Natural materials and may display various marks and characteristics such as Knots, Cracks, grain variation and colour variations. These are natural and deemed by many. These are Desirable features which demonstrate the individuality of the wood and will not affect the durability or performance in any way. 7.7 Pine and French green oak can be affected by heat and moisture. A hot dry environment will cause pine to shrink, whilst a damp environment will cause it to swell. We cannot be held responsible for any movement in your furniture caused by exposure to extremes of temperature, such as next to a radiator, in a conservatory or exposed to direct sunlight.